This is my schedule for 2018. Please contact me to confirm dates if you are traveling any distance. All demonstrations are from 10 a.m. to 4 p.m.
March 9 - 11: Demonstrating flutemaking at the Folk Art Center on the Blue Ridge Parkway. May 10 - 13: Demonstrating flutemaking at the Folk Art Center on the Blue Ridge Parkway. 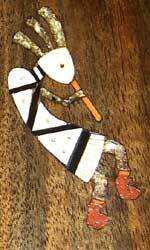 June 5 & 6: Demonstrating flutemaking at the Folk Art Center on the Blue Ridge Parkway. July 20 - 22: Come and visit me at the Summer 2018 edition of the Craft Fair of the Southern Highlands at the Asheville Civic Center. I will be there with almost 200 other craftspeople showing work in a variety of media. Note that the Fair has been shortened to three days this year - Friday through Sunday. August 15 - 17: Demonstrating flutemaking at the Folk Art Center on the Blue Ridge Parkway. September 5 - 8: Demonstrating flutemaking at the Folk Art Center on the Blue Ridge Parkway. October 19 - 21: Come and visit me at the Fall 2018 edition of the Craft Fair of the Southern Highlands at the Asheville Civic Center. I will be there with almost 200 other craftspeople showing work in a variety of media. October 30 & 31: Demonstrating flutemaking at the Folk Art Center on the Blue Ridge Parkway. For other events, please see The World Flute Society events list and the Flute Portal calendar.